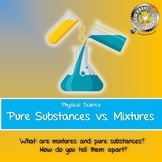 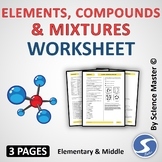 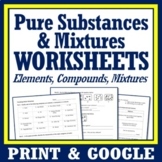 This worksheet contains basic conceptual questions about pure substances and mixtures.For updates about sales and new products, please follow my store:Science WorksheetsYour feedback is important to me and can help you earn credits on TpT! 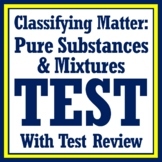 Please rate this product. 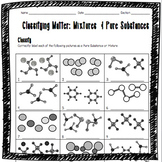 Editable Cornell Notes Outline for students to fill in. 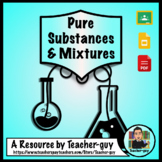 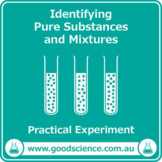 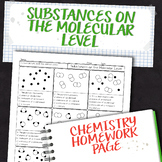 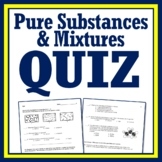 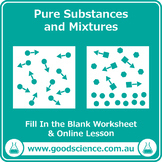 Vocabulary and Questions about classifying pure substances (elements & compounds) and mixtures (heterogeneous & homogeneous). 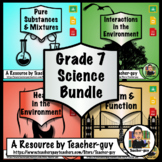 Students can use several resources to find the answers including textbooks, Brain Pop and Bill Nye videos.